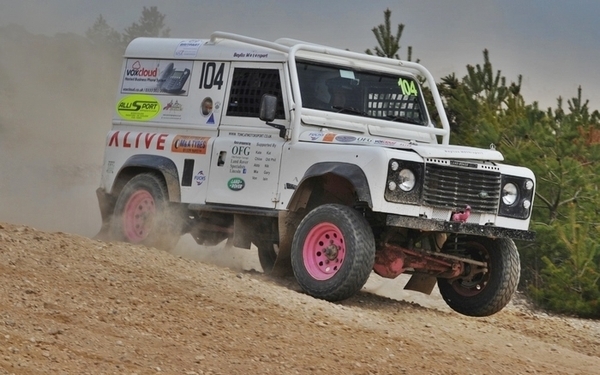 Lincolnshire driver Phill Bayliss, of OFG Land Rover Specialists, and navigator Lance Murfin have announced their intention to race in the 2019 Britpart British Cross Country Championship. Bayliss and Murfin last competed in the BCCC in 2016 when they won the Trophy category. More recently they have competed in the Hill Rally championship. "We're looking forward to racing in the BXCC this year," said Bayliss. "It looks like it'll be a good season with events at venues like Sweet Lamb and Walters." "We're hoping to have our new car out but the chances are that we'll be in the old faithful Land Rover 90 for the first round."